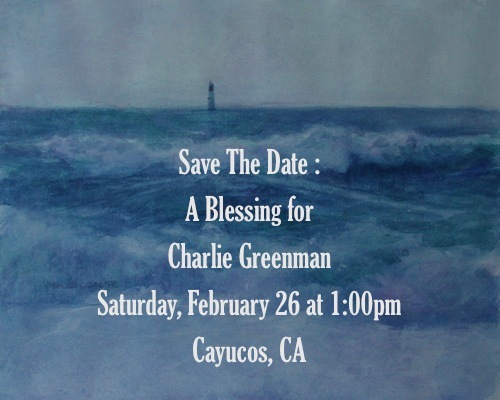 You are invited to an informal gathering to bless Charlie Greenman. This is an opportunity to meet Charlie, see Sarah and help the Greenman Family prepare for Charlie's upcoming surgeries. If you are interested in attending Charlie's blessing, please email us by clicking the envelope on the sidebar to your left. We can't wait to see you and celebrate Charlie's continued recovery! I'm a 'blog-land' friend from South Carolina who will be there in spirit!